And chapter 2 is done. 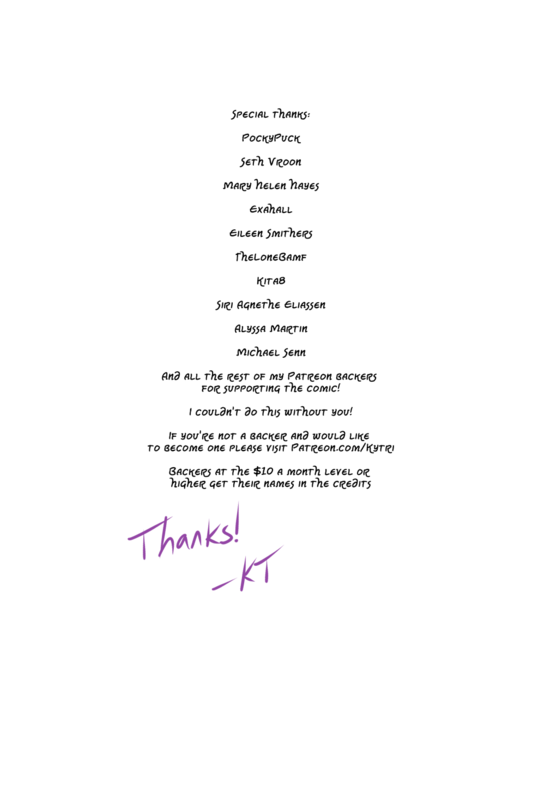 Thanks so much to all of my Patreon backers! You’re the best! Also I’m in a webcomic collective now! I’m now a member of the Wool Wolf comic collective. I don’t believe it will change anything negatively around here, mostly it’s a means of cross promotion.